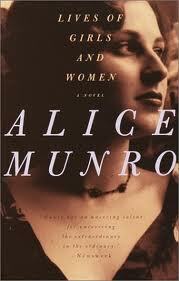 Lives of Girls and Women is Alice Munro's only novel, although one could take issue with calling it a novel at all. 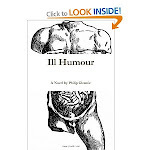 It is really a cycle of short stories centering on Del Jordan, a witty and observant girl who comes of age in the fictional town of Jubilee, Ontario in the 1940s. Before moving inside the boundaries of Jubilee proper, Del spends her youngest years living at the end of the Flats Road on her father’s fox farm. Her mother, a frustrated intellectual, believes that human worth is founded on a person’s ability to question the institutions, norms, and assumptions into which she has been born. Del, however, deeply disappoints her mother when she develops a strong attraction to the mysteries of religion. Beginning from a point of childish naiveté, Del eventually enters adolescence and forms deepening relationships with people outside of her family. As this happens, she must cope with the confusion, excitement, and anxiety that accompany her budding social and sexual awareness. Many online reviewers have written that Lives is a profoundly boring book until it deals explicitly with Del’s sexual curiosity. Cosmopolitan, for example, writes that in this book, “Alice Munro has put the sexually awakening female under glass as Salinger once did the male.” For the most part, I think that this sort of comment makes an apt and interesting point. But with respect to the reviewers who say that sexuality is the primary source of interest in this book, I think there is far more to appreciate in both Munro’s style and content. Her prose is exquisite, her construction of character nearly incomparable among North American writers. For an example of her genius in this regard, I direct your attention back to the passage with which I opened this post. I find little wonder in the fact that Jonathan Franzen has expressed such deep admiration for her work. That said, it is important to note that this book is very much interested in the Lives of Girls and Women. Munro’s male characters are often portrayed from an agnostic distance. This is not always the case, but when you stack Del’s mother and aunts up against her father and brother, you find that the latter are drawn in much sparser terms. I do not fault Munro for this, for by the time I finished reading this book, I was content to think that men were simply less interesting than women.